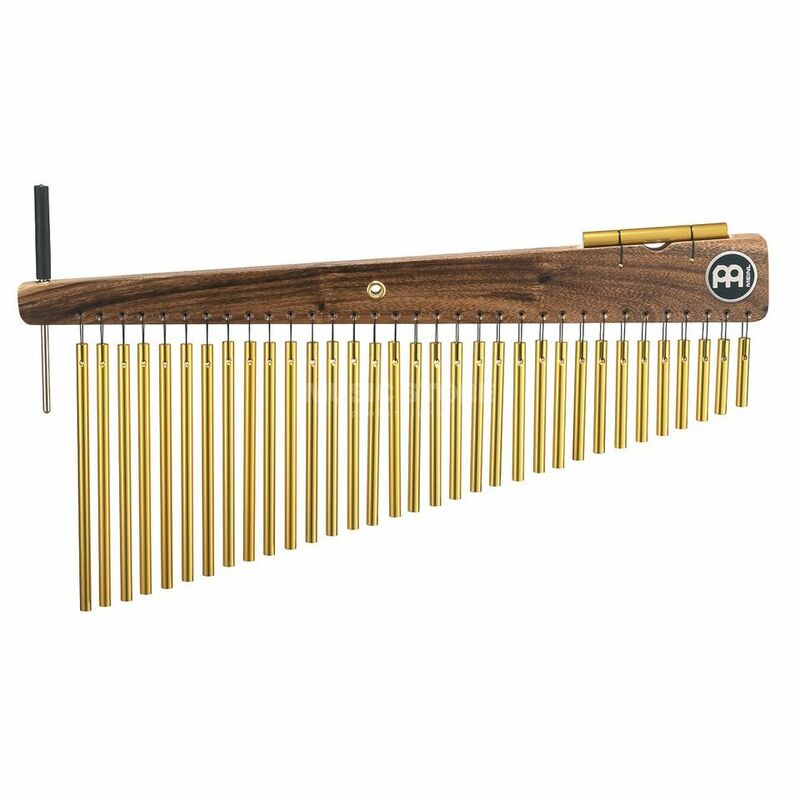 The Meinl CH33HF Chimes is a set of chimes, featuring 33 bars, all in a single-row, with a high frequency. These chimes come in gold and with a holder and striker. The 33 bar chimes produce a very bright sound with a pronounced upper overtone spectrum. They are perfect for all live situations.? Meinl Chimes provide great tonal diversity and all are made from a premium anodized aluminium alloy, and a well-balanced wooden bar. A durable nylon cord is used to attach them firmly together.